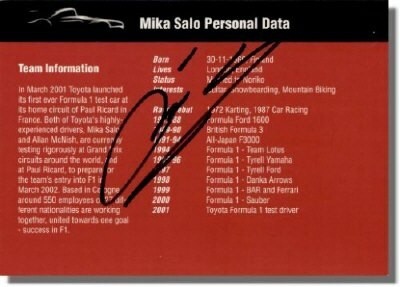 Mika Salo signed Toyota F1 Fan Card. 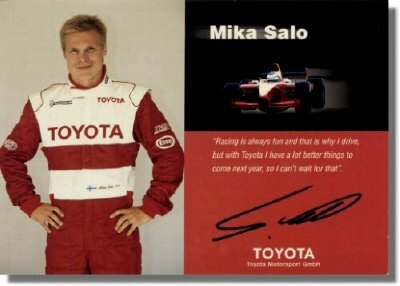 This card was issued in 2001 by Toyota when Mika was hired as testdriver. The front show his photo + mission statement + PRINTED signature. The back lists a short bio + ORIGINAL signature (see scan below).